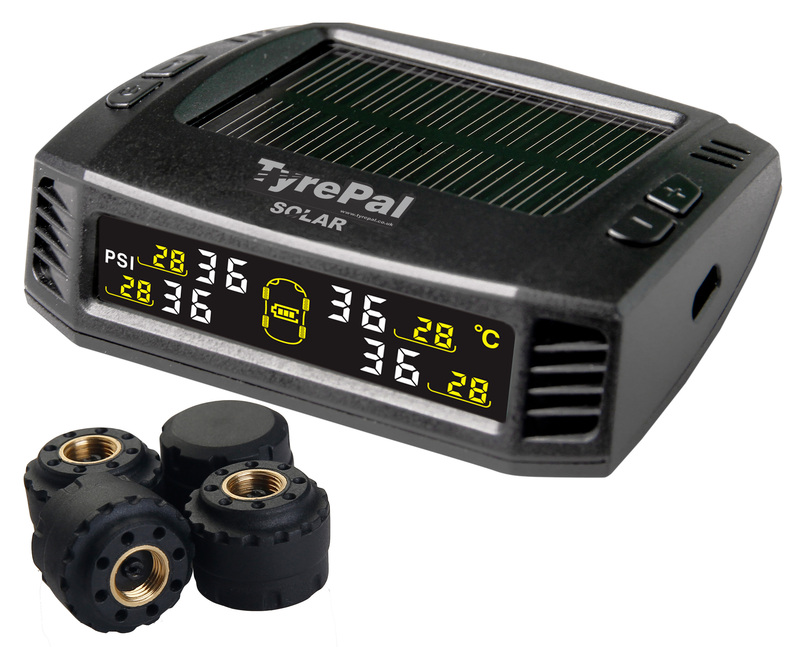 TyrePal has launched its newest product, the Solar Colour — a tyre pressure monitoring system (TPMS) that helps improve safety and reduce fuel consumption in passenger vehicles. When using the Solar Colour, drivers can monitor the pressure of all four tyres simultaneously, with an option to monitor the spare wheel too. The new system is the first TyrePal product to be equipped with a colour monitor, making it more user-friendly for the driver. The system gives clear alerts for air loss, high or low pressure and high temperatures. In 2014, TPMS became a necessary requirement for all new passenger vehicles manufactured in Europe. Not only does TyrePal’s latest TPMS help improve driver safety in vehicles that were manufactured before the legislation came into play, it also helps reduce unnecessary fuel consumption. The Solar Colour is equipped with new, state-of-the-art sensors, which are more reliable and efficient. The Solar Colour’s sensors can be screwed onto the tyre valves in the place of normal dust caps, making the installation process quick and simple for the user. It is charged continuously by solar power, preventing unnecessary usage of the vehicle’s battery. The Solar Colour also comes with a charging lead, if the device does need additional power.